In 2008 the European Championship sees the light of day. With the idea to give the players of the European continent more chance to play on TV tournaments. Partly because of this, besides the top sixteen of the Order of Merit and the top twelve of the Players Championship Order of Merit, the four best players of the European Order of Merit participate in this tournament. This format changes in 2016 when the European Championship becomes the final tournament of the EuroTour cycle. From that year on, the best 32 players of the EuroTour Order of Merit will play this tournament. The tournament has not found a regular home. In 2008, the tournament is played in Frankfurt in Germany, but in 2009 the tournament in relocated to the Netherlands. It is played in Hoofddorp. In 2010 the tournament returns to Germany. Dinslaken is where the tournament is staged. A year later Düsseldorf is the new home of the European Championship but in 2012 it moves again, this time to Müelheim. From 2015 to 2017 Hasselt in Belgium stages the tournament. In 2018 the tournament returns to Germany again, Dortmund hosts the tournament for one year while in 2019 the tournament will move again, now to Göttingen. 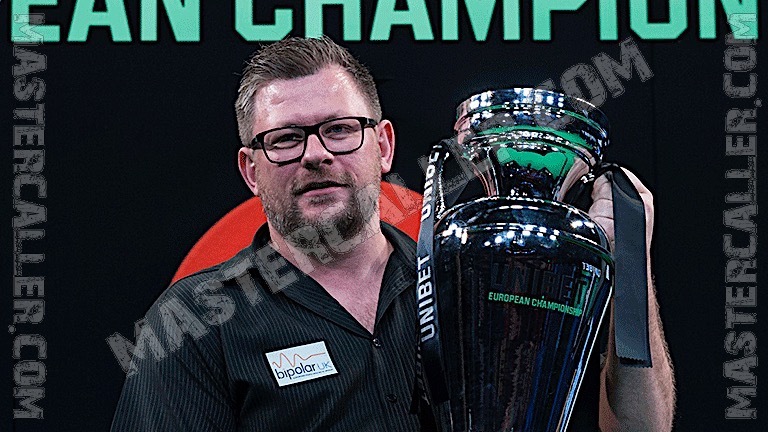 The names of Phil Taylor and Michael van Gerwen are on the cup four times. Other winners are Simon Whitlock, Adrian Lewis and James Wade who all win once. Three times in the history of this tournament a nine darter is thrown: Adrian Lewis in 2011, Michael van Gerwen in 2014 and Kyle Anderson in 2017. It is remarkable that all those nine darters were thrown during the semi-final stages of the tournament.